Compact solution for your Smartphone! Powerful Excel compatible Smartphone Spreadsheet and easy to use Smartphone Text Editor in one bundle! 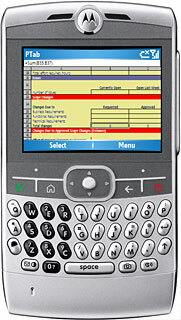 Smartphone 2002 / Smartphone 2003 / Smartphone 2003SE / Windos Mobile 5.0, Windows Mobile 6.0, 6.1, 6.5, portrait/landscape display, with/without keyboard!